Floating parks thriving with predators; Chimps and gazelles awaiting to walk with you; the fishermen cruising by the river and a campsite inviting travelers for a yoga retreat during sunrise. Wildlife in Tanzania is diverse and not limited to national parks and game reserves in popular safari circuits. A handful of exotic wildlife destinations by the bay are less explored and are a real fascination of active adventurers. It is here you will discover the dense jungles on foot and experience a unique combination of the bush and the coast, bringing together the rich concentration of wildlife in some of the most unique natural setting. Tanzania’s first and only coastal wildlife sanctuary, Saadani is situated on the historic triangle of Pangani, Zanzibar and Bagomoyo. This mesmerizing wildlife destination invites a handful of tourists that are fortunate to unleash unforgettable views of the Wami River meandering into the Indian Ocean and thick forest patches clasped in its protective arms. From yoga retreats to bush walks and animals that shy away into the woods, Saadani is a wildlife dream in the tropical richness of Africa. First a game reserve, the park has gradually expanded into a national park stretching for nearly 1000 km2, and a home to herbivores and primates including waterbucks, hartebeests, greater kudus, sables, yellow baboons and velvet monkeys. Occasionally you would spot a lion past by a watering hole, jackals, hyenas, jackals, spotted hyenas and herds of elephants marching across stunning sunsets. Thanks to the prevalence of river and the ocean, one would never miss a sight of the hippos, kingfisher, lesser flamingoes and breeding turtles. Sights of the bottlenose dolphins and whales are also common in October and November towards the south coast area. Known as the smallest island national park in East Africa, Saanane boosts of a rich aquatic environment and a thriving population of wildlife living on an island as little as 3 sq km. Popular for day trips, guests have direct access to Saanane National Park from the main city of Mwanza. After crossing Lake Victoria via a small boat find yourself walking amid impalas, hyrax, velvet and De-braz monkey, agama lizard and leopard tortoise. The island is named after Saanane Chawdani who was once the owner of the island. With the mission to promote the island as a conservation sanctuary, the park was initially established as a zoo and recreation island and today stands as a stand as independent park in Tanzania. Situated amid Lake Victoria, the park holds an incredible population of wild animals including elephants black rhino, wildebeest, giraffes and buffaloes. Other water breeding animals include the crocodile, otter, tortoise and pythons. Additionally one can spot more than 50 varieties of resident and migratory birds including the famous Nile Perch and Tilapia. The island park is best to visit from June to September. Cross Saanane Island Park via a brief 5 minute boat ride and direct access via Mwanza city (approx 2 kms). Away from the popular wildlife destinations, Mahale National Park borders Lake Tanganyika and offers a special solace to untypical tourists keen to explore the last remaining wild chimpz of the world; only about 900. Situated in West Tanzania, Mahale National Park is a wildlife destination off the beaten path and is best visited from May to October. 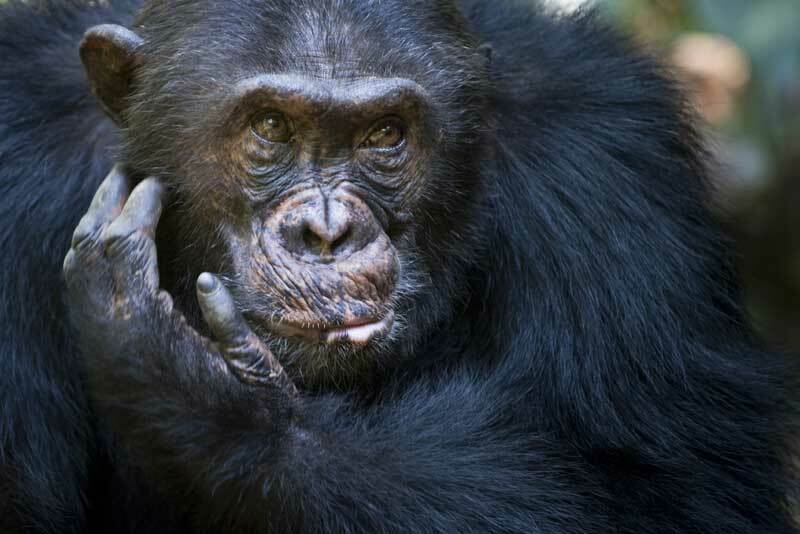 Here one can enjoy the unperturbed sighting of chimpanzees mostly seen in large groups and the freshwater lake with over 1000 varieties of fishes. This unique national park by the bay is known as one of the most beautiful parks in Africa that lets one enjoy the exotic luxury of the coastline along with the dense lustrous bushes, home to the wild chimpanzees, yellow baboon, red, blue and vervet monkeys. Most travelers visit the park for the unique observation of the chimpanzees living around the area of 1600 km2 and the possibility for close encounters that leave a deep wildlife impression during this safari experience. Enjoy the 20 minute leisure hike uphill stretching to a 3 hour walk and spot the chimps moving from the shore up to the dense forests. These chimps have been studies for more than 40 years and offer an exotic wildlife experience in their natural habitat. It is highly advisable to read safety rules before visiting the park. The park can best be accessed from June to October via flights from Arusha to Kigoma or direct charter landing at Mahale Airstrip. Road trips are tricky and time consuming especially during the rainy season. 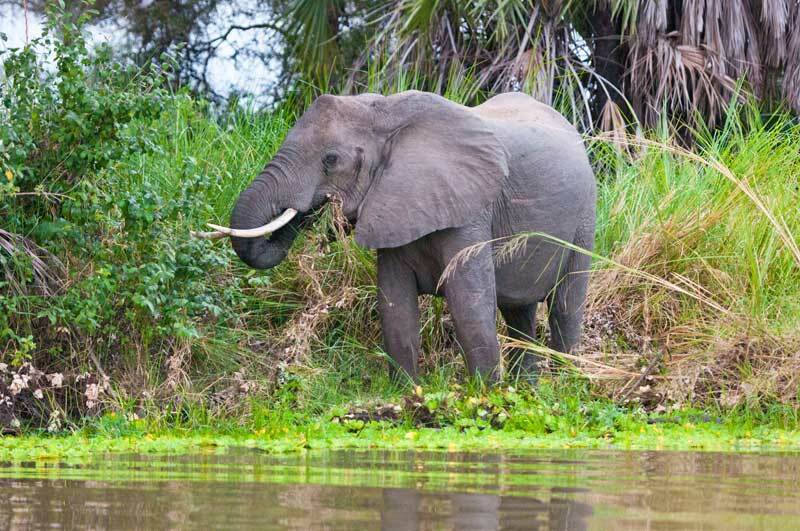 Known as the largest island national park of Africa, Rubondo stands out as an untouched wildlife sanctuary that invites a handful of travelers to explore the raw wilderness beauty in the middle of the lake. 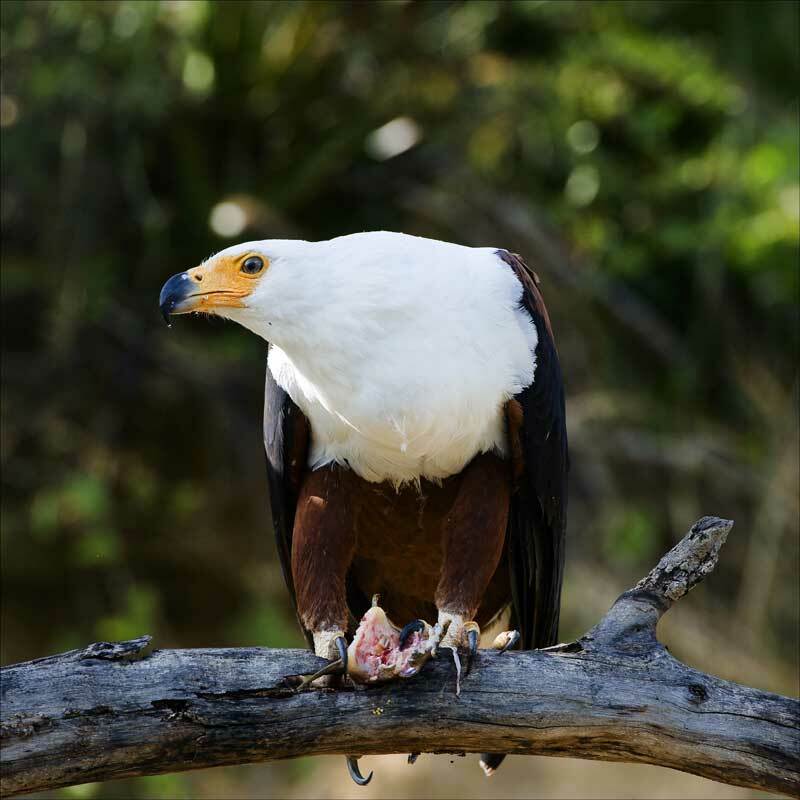 It is said that this park was once an inhibiting island of a fishing community who were re-located to redefine the purpose of this area to an exclusive wildlife game reserve and today and floating national park. Rubondo is known to be formed from a submerging rift of volcanic and is often endowed with the tile of the Jurrasic Park of Africa. Today the landscape is an astonishing mix of evergreen forests with rocky areas and sandy beaches surrounded by orchids, papyrus swamps and date palms. Species such as the chimpanzees were first re-introduced here followed by larger mammals such as black rhinos, elephants, giraffes and the suni antelope. The rhinos and the grey parrots however cannot be spotted anymore. One can also spot unique varieties of cats such as the civets, genets and water habituated animals including hippos, crocodiles and terrapins that lay eggs between October and January. Many travelers also visit this park for its 300 varieties of birds including pied kingfishers, darters, cormorants, white egrets and fish eagles. Scheduled flights from Dar es Salaam, Arusha, Zanzibar and Serengeti followed by a brief boat ride via lake Victoria. 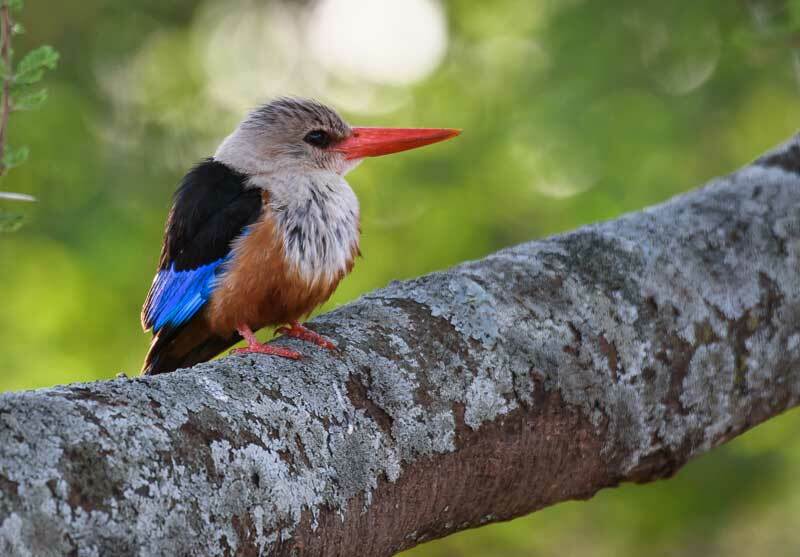 The best time to visit Rubondo Island Park is from June to October which is the dry season or from December to February that offers a sight of migrating birds that visit the island.